Whenever there is new technology introduced or a new trend, there will be those who are for it and those against it. With that will also come myths and questions. We think the best way to deal with this is to address this openly so that you know exactly what you are getting yourself into when you choose to convert your business to Fax over IP. 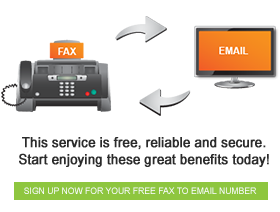 The truth is that Fax over IP is just as reliable as the normal fax that we were used to using. As long as everything is connected properly you shouldn’t have a problem. This is even better because should anything happen to your office, you don’t have to worry about losing all the information that you had backed up in files, but you can actually find your important documents backed up online. Even though the use of faxing has declined over the years, many companies still rely on fax to send their important and legal documents. It helps to have this solution so that should you come into contact with one of those companies, you can communicate with them. Fax over IP actually saves you a lot of money. You don’t have to buy a whole fax machine, for example to get the service going. This saves you money on electricity, paper and ink. Browse our site to learn more about the fax to email packages we have to offer to help you make a decision that is suitable for your business’ needs. ⇐ Who Said Recycling Old Fax Machines Has to Be Boring?